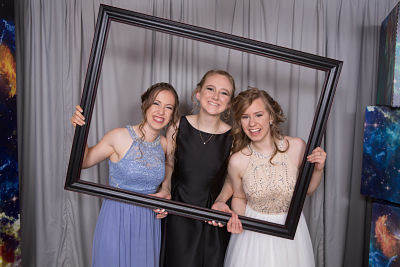 The Home School Prom is a formal setting where students may practice their social graces. While proper manners may be common to most, these expectations will hopefully make the evening more enjoyable for all. Guests must comply with instructions from chaperones. Weapons, alcohol, tobacco products, or illegal substances are not allowed. No one exhibiting effects of alcohol or drug use will be allowed to enter. No early dismissal without a parent's presence or written permission. Public displays of affection are discouraged and will be left to the discretion of the chaperones. No juking, freaking, or other "dirty" dancing. Guests who behave inappropriately or outside of these expectations will be asked to leave. We reserve the right to refuse entry without a refund or dismiss an attendee with no reimbursement. All students and guests must sign the Prom Promise which includes these expectations. The Prom Promise is attached to the Ticket Request Form available on the Tickets page. While the Home School Prom is a formal event, one need not spend an excessive amount of money to participate. Below are guidelines for young ladies and gentlemen to follow in choosing their wardrobe for the evening. A suit and tie or coordinating pants and sportcoat are expected. Tuxedos are optional. Jackets and ties may be removed during the evening, but shirts are to remain buttoned and tucked. Absolutely no jeans of any color are allowed. A modest, becoming dress is expected. Please use discretion to assure your selection is tasteful and above reproach. Long, formal gowns are encouraged but not required. Short dresses or slits in floor-length gowns must be no higher on your thigh than where your fingertips fall when standing upright. Spaghetti straps and strapless gowns are permitted, however no plunging necklines please. No side or front cut-outs in dresses below natural bra line. The gown's back may not be lower than the smallest portion of the natural waist line. No see through gowns are permitted. No visible tattoos or body piercing, other than earrings please. The overall goal is for everyone to have an enjoyable and memorable evening. It is uncomfortable for both the chaperones and attendees to correct attire outside of the dress code. Please make sure that you are within the above guidelines; it will be upheld. 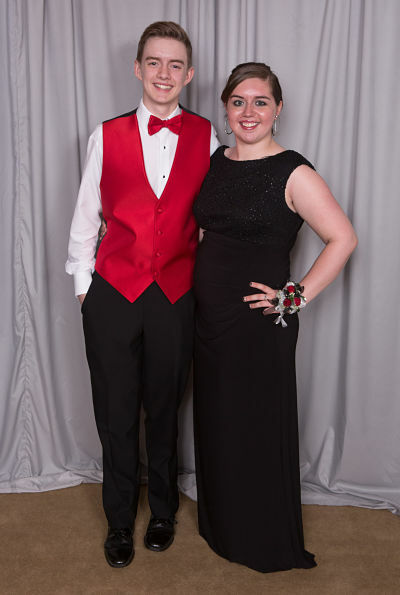 You will have a much more pleasant experience in the clothing you have chosen if a chaperone does not have to make adjustments to your attire for you to remain at the prom.